A meeting between Prime Minister Stephen Harper and Assembly of First Nations chiefs is in question amid demands that the Governor General be present at the gathering. Questions over who will attend the meeting — and new demands about where it should be held — created confusion on the eve of the gathering called to discuss concerns about the relationship between the federal government and First Nations. Chiefs gathered at a meeting at the Delta hotel in Ottawa on Thursday evening, with some saying they will attend the meeting with the prime minister, but "many" saying they won't, Evan Solomon, host of CBC News Network's Power & Politics, reported via Twitter. As chief after chief got up to announce support for Attawapiskat Chief Theresa Spence's stance that the Governor General must attend, Atleo eventually took the microphone to plea for unity. He admitted he had made mistakes and that the membership of the Assembly of First Nations was divided. What he left unsaid was whether any meeting with Harper would take place at all, or how he would proceed. "This is not a perfect organization and I am not a perfect person. I accept a share of responsibility and I have responded to criticisms from last January," Atleo told a rowdy crowded room of chiefs and delegates. "We need to continue to stand united — chiefs, delegates…. If we are to be divided at a moment like this, the governments will see that." He then left the conference hall, with insiders indicating he would work through the night with his executive in order to figure out the best way forward. Some of his allies insisted he would meet with Harper and cabinet ministers as planned on Friday afternoon — in private, in the Prime Minister's Office with a relatively small delegation of chiefs. "It is our intention to move forward with the meeting," said B.C. Regional Chief Jody Wilson-Raybould. Atleo himself suggested he would hold the meeting, and then push for a broader meeting on Jan. 24, and a commitment to hold broad, open meetings with chiefs at regular intervals. "We need them to commit to sit with you on a regular, ongoing basis, look you in the eye the way it was done in the treaty-making, in a sacred manner. And let's transform this relationship. Because our kids are dependent on every single one of us," he said. Grand Chief Stan Louttit, of the Mushkegowuk territory that includes Attawapiskat First Nation, told Solomon on his program Thursday that the chiefs were united in the belief that the meeting would be off unless both Harper and Gov. Gen. David Johnston were in attendance. "That's what the chiefs debated this afternoon," Louttit said. "And there is unanimity on the floor from our meeting at the conference centre that we want both the Governor General and the prime minister at our meeting tomorrow." Manitoba chiefs said they would not attend Friday's meeting unless it was moved to the hotel. "Unfortunately, the prime minister has been very dictatorial and unrelenting in his position to control and set the agenda for this meeting," the Manitoba chiefs said in a release. Meanwhile, Harper's director of communications, Andrew MacDougall, said the government will stick with the plan for Harper to attend the working meeting at his office, and for the Governor General to host a separate ceremonial meeting at Rideau Hall Friday evening. Johnston had said that he wouldn't attend a working meeting on public policy, despite demands by some First Nations leaders, including Spence, that he be there in his role as the Queen's representative in Canada. Spence has limited her food intake for the past month, consuming only herbal tea and fish broth since Dec. 11. She says she will continue her protest until the meeting happens and said she wouldn't stop unless Johnston was at the meeting. It's not clear yet whether a ceremonial meeting will meet those demands. 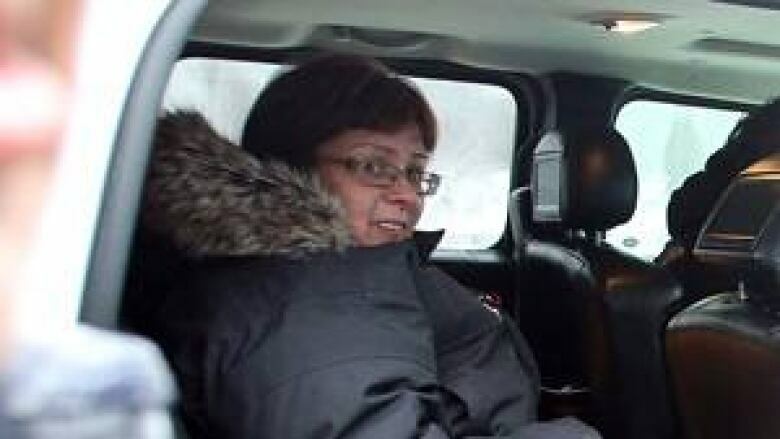 Spence's spokesman, Danny Metatawabin, first told CBC News that the meeting with Johnston was a positive step, but then said if he isn't at the same meeting as Harper then it would be a failure. Spence has maintained Harper, Johnston, Ontario Premier Dalton McGuinty and First Nations leaders must be in the same room, having discussions together. Louttit said on Power & Politics that Spence won't be attending. McGuinty has an unrelated news conference in Toronto Friday morning and then leaves for a trade mission to China. The working meeting is to be held at Langevin Block, the building that houses the Prime Minister's Office, and is closed to media, a spokeswoman for Harper said in an email. The meeting, if it goes ahead, will start at 1 p.m. ET with remarks by Harper and Atleo, with a plenary session from 1:30 p.m. to 4 p.m. to discuss the treaty relationship, aboriginal rights and economic development. Aboriginal Affairs and Northern Development Minister John Duncan and Treasury Board president Tony Clement will be at the plenary sessions. Harper and Atleo will "engage in a dialogue" about the outcomes of the plenary session from 4 p.m. to 5 p.m.
NDP Leader Tom Mulcair was to meet with 20 national and regional First Nations chiefs Thursday night at Stornoway, the residence of the Opposition leader. However, that meeting was delayed and eventually cancelled due to the evening meeting at the Delta. Spence will not be at that meeting. Earlier Thursday, the country's top chief said poverty is killing First Nations people, as he laid out goals for the meeting with the Harper. Atleo said the AFN has heard the voices of Idle No More activists calling for action. "We are absolute in our convictions and in our determination to achieve our rights," he said. Referring to the number of missing and murdered aboriginal women, Atleo's voice caught as he recalled going with a family to a morgue after a 16-year-old girl was killed. "This is what our people are saying. That poverty is killing our people. That the history of colonization and unilateral action on the part of governments will stop now," he said. Atleo, along with regional chiefs Jody Wilson-Raybould and Perry Bellegarde, laid out a number of specific requests, including treaty implementation, treaty enforcement and a new financial relationship with the Crown. Bellegarde says one funding formula is 19 years old and hasn't kept up with either inflation or the total First Nations population. Wilson-Raybould and Bellegarde both pointed to the need for a new division within the Prime Minister's Office or the Privy Council office to manage the policy changes they're asking for. "The second point we talked about is, again, lands and resources being unilaterally developed without our involvement. That creates poverty. That's not good for our country. We need to deal with that," Bellegarde said, recommending Natural Resources Minister Joe Oliver should be working on that file with the AFN. The chiefs also mentioned disputes over changes to environmental legislation the Conservative government made in its two omnibus budget implementation bills in 2012. "Our treaties were not meant to make us poor in our own homelands. But that's what we see," Bellegarde said. Wilson-Raybould said the Indian Act needs to be fundamentally changed. "Imposed solutions will not work," she said. "We have the solutions right across the country in terms of developing and extricating ourselves from the Indian Act." The meetings comes after nearly two months of Idle No More protests by First Nations people, as well as Spence's month-long hunger strike. First Nations people in Canada have "nothing left to lose," the grand chief of the Assembly of Manitoba Chiefs told reporters Thursday morning, pointing to the problems with lack of housing, unsafe drinking water and poor health in the community. Derek Nepinak said the Idle No More movement has enough people to "bring the Canadian economy to its knees." "It can stop Prime Minister Harper's resource development plan and his billion-dollar plan to develop resources in our ancestral territories. We have the warriors that are standing up now that are willing to go that far. So we're not here to make requests. We're here to demand attention and to demand an end to 140 years of colonial rule," Nepinak said. The Manitoba chiefs distributed a list of 10 treaty principles in advance, affirming their sovereignty and that Canada "has an ongoing obligation to fulfil the treaty according to the spirit and intent."